The Lego Movies Zootopia How the Grinch Stole Christmas Jokes in Kids Cartoons Shows Powerpuff Girls Hey Arnold! The Incredibles Pokémon Who Framed Roger Rabbit Rugrats Pixar Movies Disney Movies Animaniacs Ed, Edd n Eddy My Little Pony Boy Meets World Johnny Bravo Justice League Unlimited Rocko's Modern Life Monsters, Inc.
Hidden adult jokes aren't just for SpongeBob and Disney, plenty of supposedly kid friendly games are riddled with mature jokes and innuendos. Sometimes the jokes feel innocent enough at first glance but other times their adult content is immediately apparent. From implied prostitution to drunkenness, some kids' video games are filled to the brim with adult jokes. To count as a kids' game on this list, a video game has to be appropriate at least at first glance. Some of the adult jokes in kids games are put their secretly by the developers while others are part of the original script. Luckily for us, more than a few have gotten by the ESRB raters and end up in the final cut of the game. There have even been a few infamous instances where dirty jokes in video games where scrapped half-hardheartedly so that somewhere in the game you could still find their remnants if you looked hard enough. A few of these adult jokes require a special code or button sequence, but the best ones are the ones that are hidden in plain sight. Some are more subtle than others but one thing is for sure, adult jokes in video games that should be appropriate for kids are just a little bit funnier than everything else. Enjoy this list of adult jokes you never noticed in kid's video games. 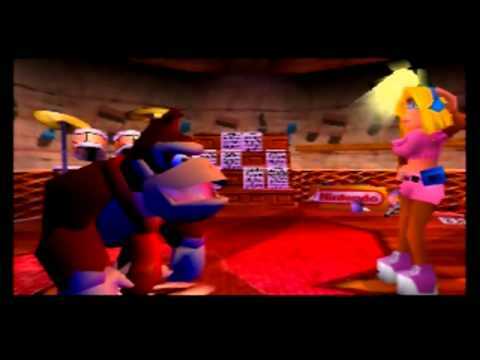 If you have any doubts about the sexual undertones of this scene, just listen to the music and the fact that her name is Candy. Okay so it's not exactly a naked woman, but it is certainly the anatomy of a woman. In this old game, every once in a while when you flipped to a certain page in a spell book, a naked woman would appear instead of a spell. Maybe she was the spell. The world will never know.